Typical Shinra hypocrisy, Zinaida thought, condemning testing on humans one moment then turning around and doing just that the next. But there seemed little choice in the matter given the situation, and the other man... Haneul? ... had seemed fine. "I'm getting paid for this... right?" ...though if that was enough people's attitude, Lord Godo might as well invite Shinra in right now. "Very well. Leviathan protect me, I will try this machine of yours." Something had flashed across her mind, something she had not thought about in a long, long time. "Before we start... since I may well never again be able to ask anyone else who has a chance of knowing... you worked for the Shinra, correct? Tell me, did you know of a Dr. Damien Keer?" "Yeh sure," he mumbled at me. It was not the most reassuring of things in the world. I stepped outside, grumbling under my breath and looking around for the storage area. A few quick directions from passersby and I found it, tossing half a dozen posts and a few rolls of the chicken wire in a wheelbarrow. As I trudged back to the 'lab', for lack of a better word, I thought hard about my situation. My first instinct, as it almost always is, is to run away. Find a hidden, defensible location, and just weather the storm. 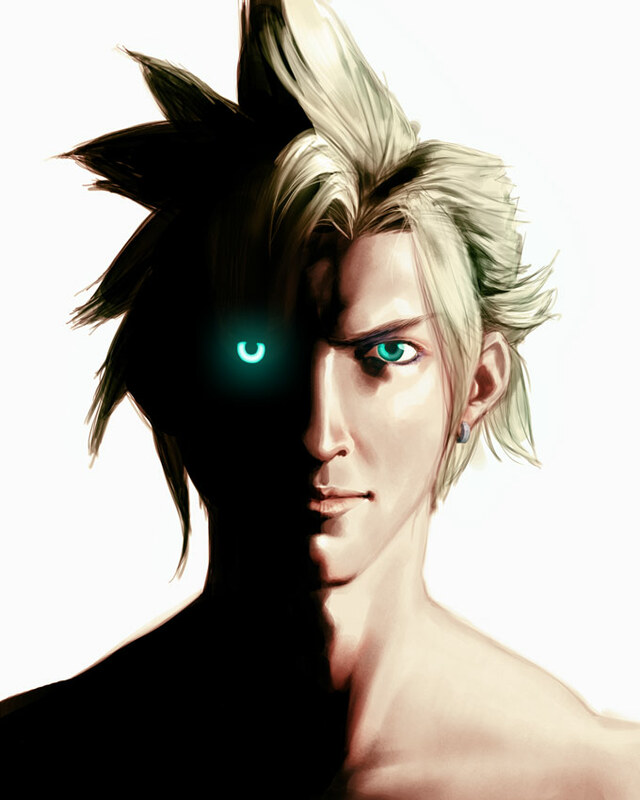 While I am certainly loyal, to an extent, Shinra is just a paycheck, nothing more. I have no deep misconceptions about my place in that world. I am to them, just as they are to me, a resource, and nothing more. In the same manner, while I have certainly more than enjoyed my time here in Wutai, and have made many friends, and even agree with their struggle to a small extent, I harbor no delusions about their success in this war. I know all too well what the Shinra are capable of, and what Wutai is capable of. My self preservation instinct is, shall we say, extremely prevalent. And it's screaming at me to just run away. But I know that to desert now would just end badly for me. Shinra's not going to let a SOLDIER, even a lowly 3rd class like me, just walk off with no repercussions. In the same manner, if I stay here and am found out, that would probably be even worse for me. I crack my neck in frustration. I should never have gotten so involved in this situation. As useful as these experiences have been, staying in Mideel with my family would have been the best option. Well. Too late for that now. I settle the wheelbarrow down next to the doctor, still not having reached a viable course of action. For now, I'm stuck with this. "Very well. Leviathan protect me, I will try this machine of yours. This made the Doc smirked. He was not a fan or believer of religion though he never spoke out about it as most people wouldn't even understand his own beliefs. But he liked her attitude towards it. Doc-"Your help is a great service to me. You will be in little to no danger so you have nothing to worry about. The bracelet itself will protect you if anything goes wrong. I may have teased Hanuel a bit about the dangers but what can I say it amused me. The dangerous parts are the generator and this pc which I shall be manning myself, as well I have a strange familiarity to my own death so the concept of it isn't that scary." The Doc let out a chuckle and started to type away on the pc. Doc-" Though Dr. Damien Keer? I met most of the doctors and scientists at shinra. I was one of the lead scientists so that was not something I could avoid. But I could get his file up on my pc here if you want. Well some of it. A lot of their data is secure meaning I can't access it off site no matter how hard I try." At that moment Hanuel came back in. Doc-"Ah perfect. Now we just need to construct some cages big enough to hold the generator and pc. Should be easy enough with some nails, wire cutters and a little bit of effort." Niho had enough of the enmaddening cacophony of voices and chants that kept crying to his ears. It seemed to him as if days had passed since this terrible nightmare began. Amidst the confusion, he discerned a familiar language faintly speaking to him. He started running towards its source which, to his dismay, seemed only to be growing further apart from him. He was no longer sane. He could endure no longer the outwordly, infinite choirs that showed no sign of rest. "Enough!... ", he tried to scream, but it turned instead to an inaudible plaint. It did have an effect, though: a dark hole appeared at his feet, into which he fell; the voices lowered and raised their pitch as he effortlessly wandered up and down in an strange pathway illuminated by incandescent fires and other unexplainable phenomenons. Colours he had never seen before went past him; words he had never heard before travelled to him; notes he had never listened before passed through him. The amount of information that was going by was impossible to process in such a short time. He was being transported somewhere, that much he understood. He didn't care escaping the dream anymore. He had already the notion of time and space. Days stretched to years, a few meters turned into whole continents. The voices slowly began forming a glorious chord, with such harmony that was and never will be hearkened again by mortal Men. Niho closed his eyes as the chord converged into a single note: this powerful unison left him in a state of great peace, of a strange sense of accomplishment, but also gave him a need to fulfill a certain transcendent quest. Contradictory emotions clashed with each other while the note grew in strength and volume. He was being told something he could not understand; he only nodded slightly and slowly to each musical meditation. Then the voices started to slowly fade away and he fell asleep in his catatonic slumber. Niho opened his eyes after what seemed like years of rest. Slowly, without saying anything at all, he rose and stood still for a few moments. He smiled seeing Nhio sitting up. Doc-"Kind of glad you didn't do that during the test a few minutes ago. Could have caused a accident. But either way how are you feeling. You didn't look that good at all." "Steady, boy," Zinaida said with a touch of alarm, moving towards Niho. "Sit back down. You don't need to be up." "Oh, did I interrupt something? I'm very sorry. I'll leave right away." Doc-"The lady has it right sit down and don't move for a bit. I have some questions for you about your current condition. " Niho obeyed and sat down. Doc-"Sit back and relax. Let Zinaida look after you. You seem to have passed out from something more than just a hang over. Believe me I have had enough experience with hang overs to notice that. So the question is what caused you to pass out exactly. Tell me do you have any family history with illnesses or a recurring pain of some sort that happens often. Anything that stands out really."